Hello Lovely People! Today’s HGG Show episode is a special one because…. it’s a collaboration with Jac from the Vegetarian Baker! Jac is a fellow content creator on YouTube. He has a really fun Youtube Channel full of vegetarian recipes.  Today we have partnered together to create for you Dinner and Dessert! Up first, I’m making a vegan lasagna. Don’t let the fact that this recipe is vegan scare you… it’s so yummy!! Then, make sure to watch Jac’s video! 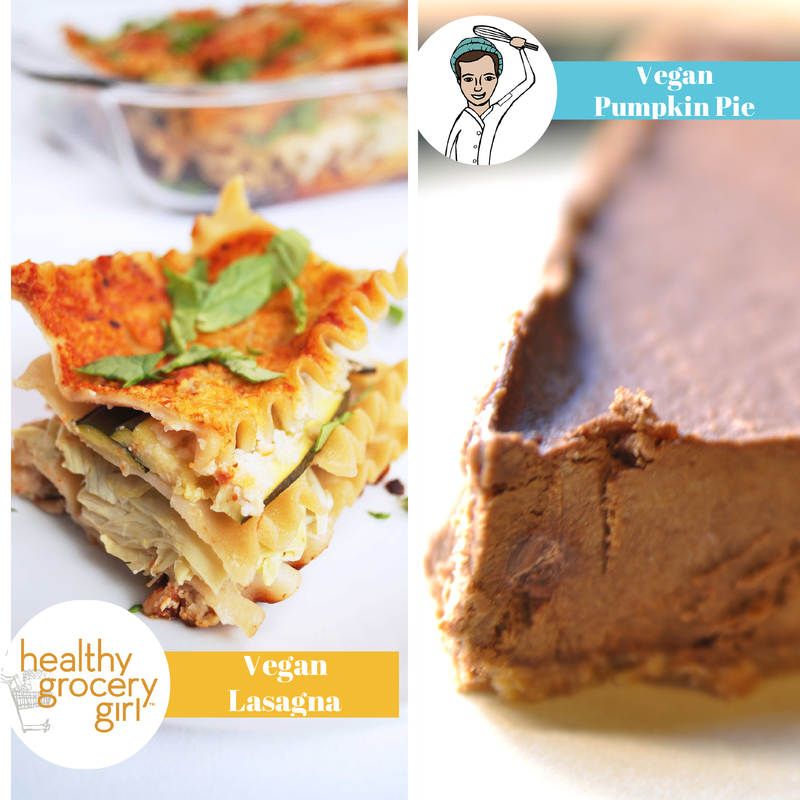 He is making a Vegan Chocolate Pumpkin Pie… um, yes!! 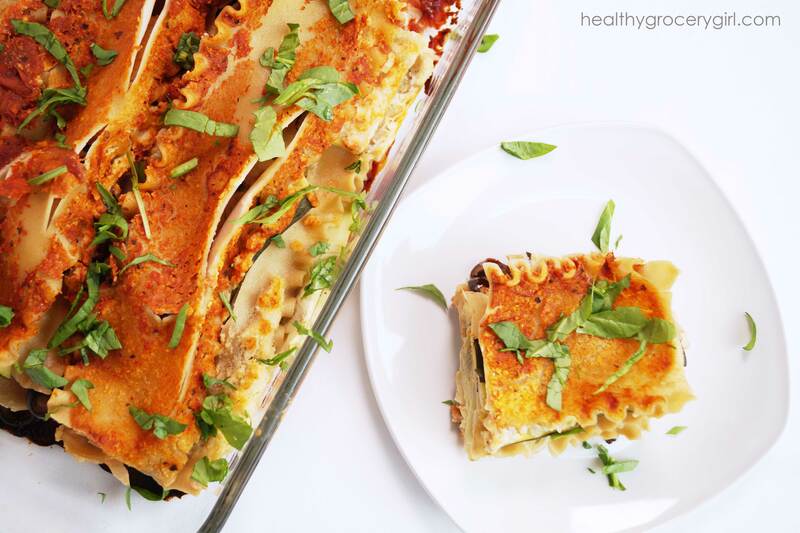 This lasagna also makes fantastic leftovers!! I’ve been enjoying it all week! Just reheat (I add a few slices to warm up in the oven) and eat! I also like this dish with a large fresh green salad. This meal feels really decadent, it’s total comfort food. However it’s completely healthy at the same time. 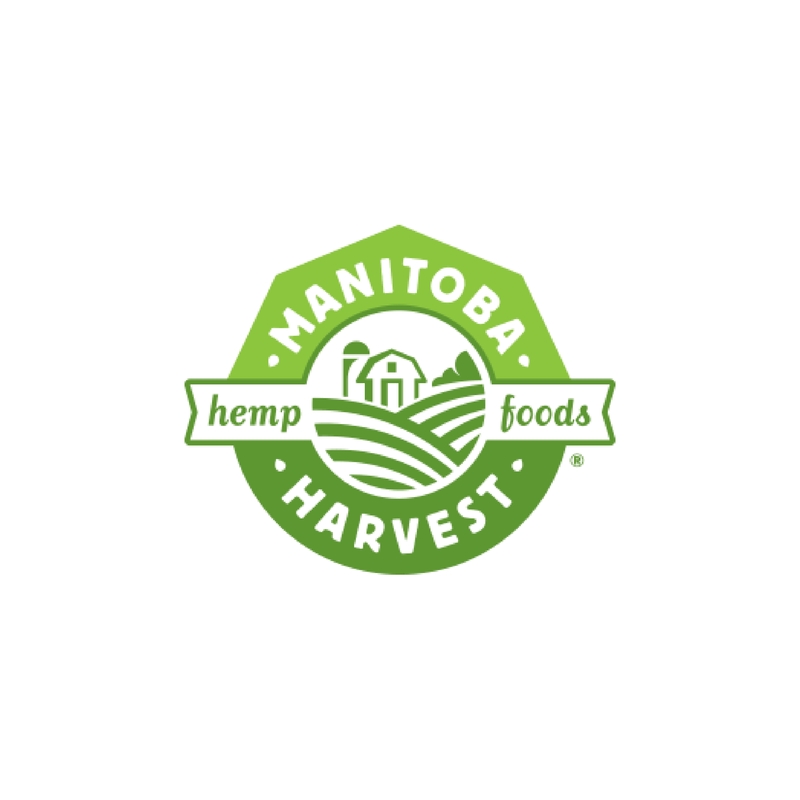 My kind of meal… satisfying and nourishing! 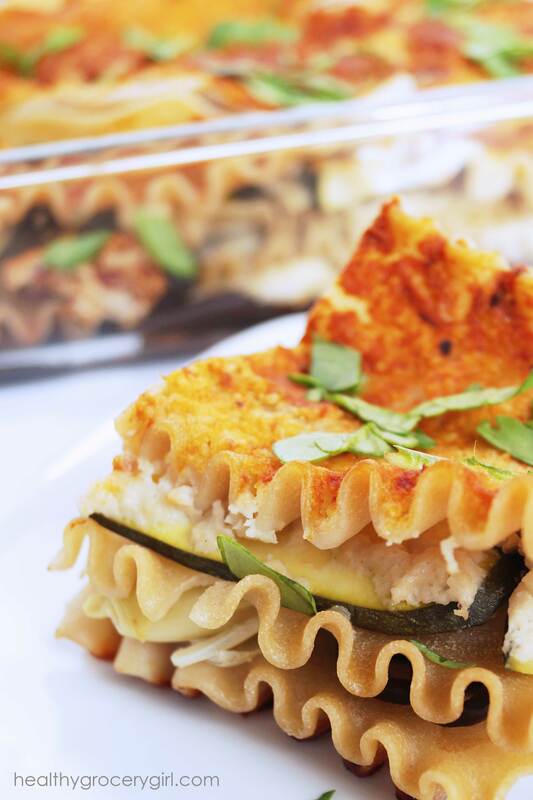 You're going to love this easy healthy lasagna! I love the gluten-free pasta noodles from De Boles because you do not need to cook them ahead of time!! Click play and watch as Jac aka the Vegetarian Baker shows you how to make Vegan Chocolate Pumpkin Pie! 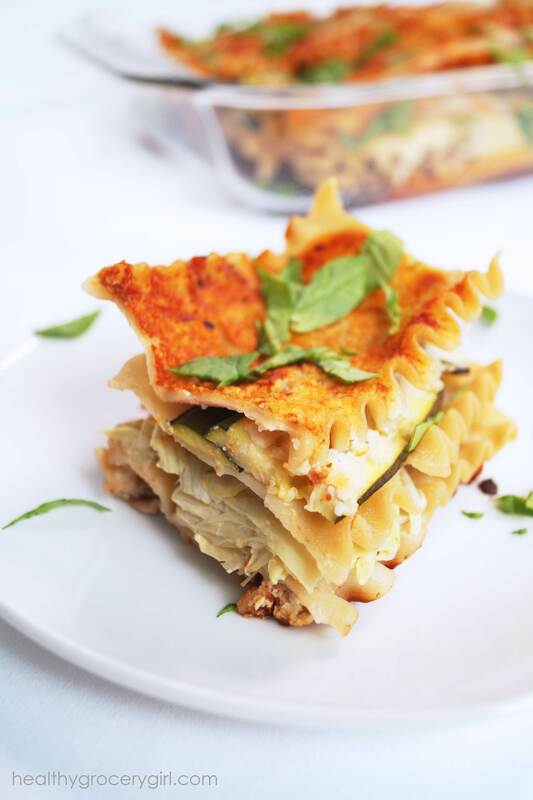 Or Click Here to watch how-to make this recipe from his very own YouTube Channel! 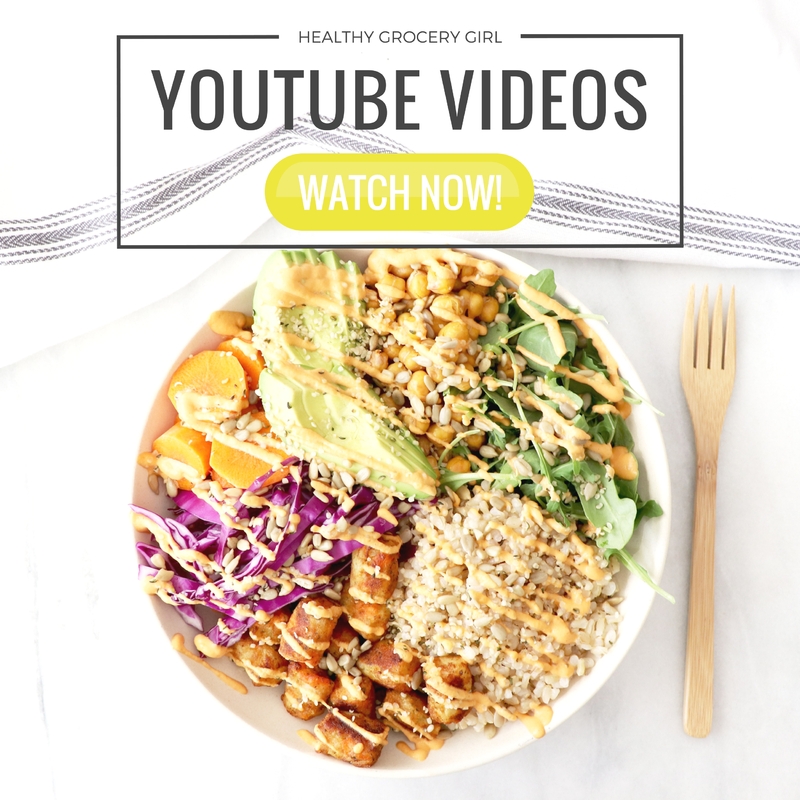 If you’re loving these recipes, don’t forget to subscribe to both of our YouTube channels! It’s completely free! If you make either of these recipes, let us know!! 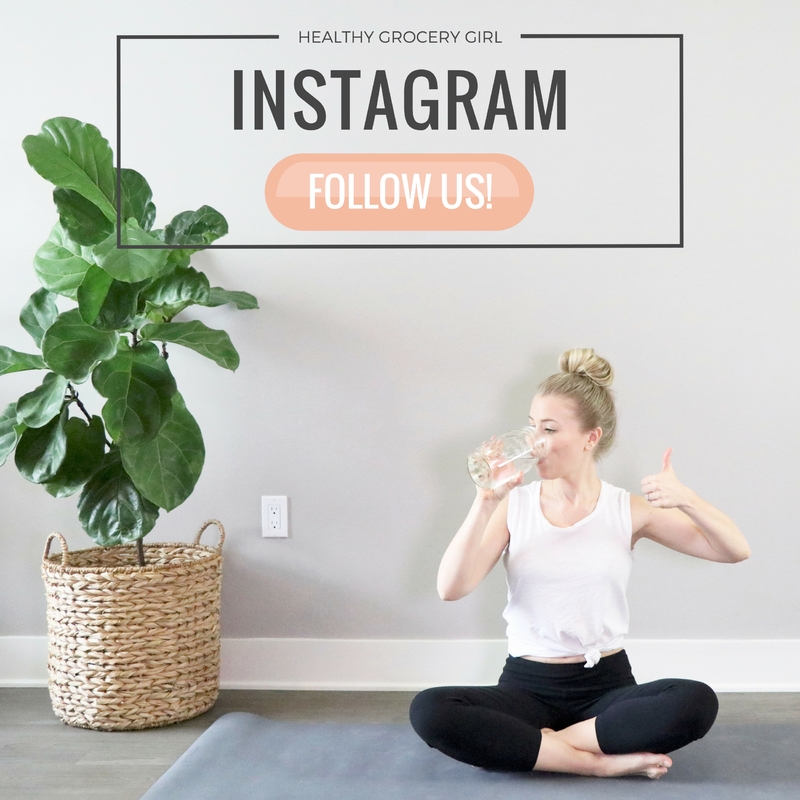 Leave a comment below or connect with me on InsaGram, Facebook or Twitter!